Industrial infrastructure comprising Oil and Gas, Mining and Power, Water and Telecom (utilities). The report presents a coherent view of the geospatial segment in the AEC industry. It further explores the scope, trends, opportunities and market size of geospatial industry solutions in the construction industry to establish the ‘existing, as well as emerging directions and dimensions’ for the benefit of geospatial solution and service providers, construction industry players and decision makers. How is the AEC industry market evolving since 2014-2015 and what is it estimated to be in 2021-2022? 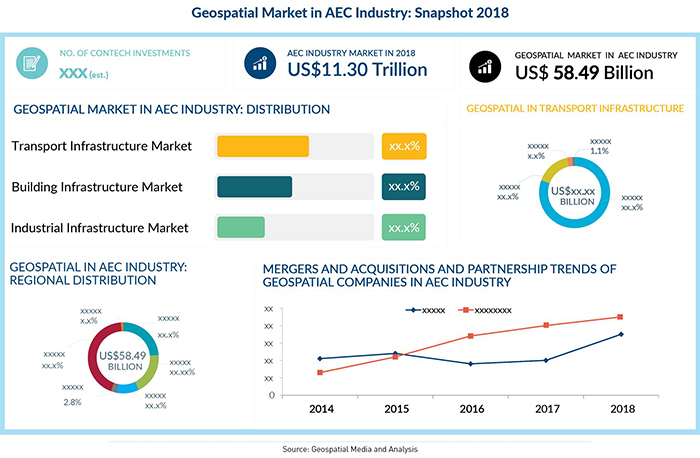 What is the geospatial market size in the AEC industry in 2018 and projected to be in 2022? Which regions have the maximum geospatial share in the AEC industry? What are the investment trends in the AEC industry and Construction Technology (ConTech)? What are the strategic infrastructure plans and management initiatives at national-level by governments all across the globe? What are the digitalization trends in the AEC industry? Does the adoption of geospatial improve with BIM adoption? Which are the top geospatial companies who are key players in the AEC industry? How are the geospatial companies expanding their BIM/ConTech capabilities? Was 2018 the year for Mergers & Acquisitions or Partnerships? What are the major benefits and challenges facing the AEC industry today and how can geospatial solutions helping address them? 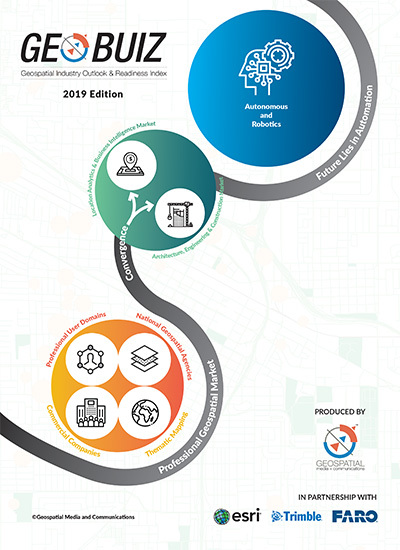 Get your copy of the Geospatial Market in AEC Industry report today!